﻿ Best Price on Hotel-residence Golf Village in Saint Francois + Reviews! 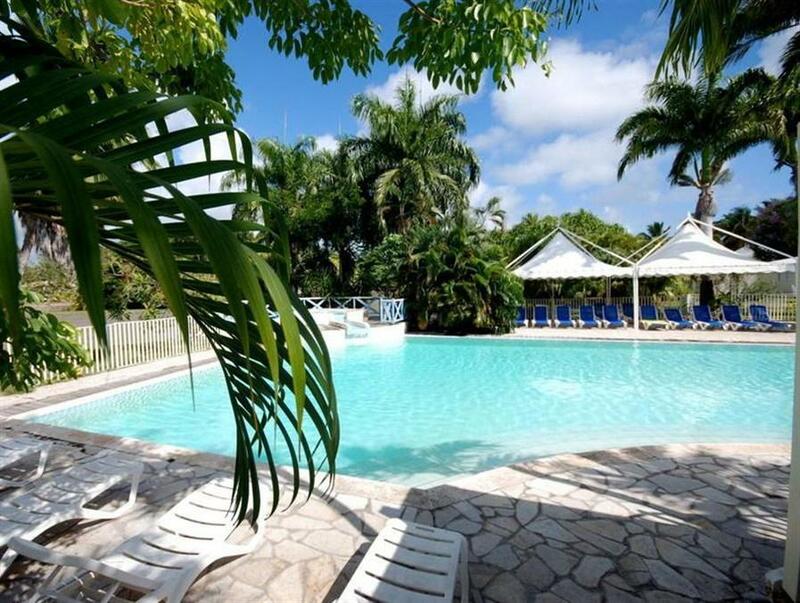 Hôtel-résidence Golf Village is located right next to the Saint Francois International Golf Course and features free WiFi and an enticing outdoor swimming pool. It also features an on-site restaurant. Each studio and room at this property features traditional rattan furniture, a private terrace and a TV. They also have garden views, air conditioning and a private bathroom with a shower and toilet. Raisins-Clairs Beach is just 1.9 mi away and the property offers guests a free shuttle 3 times a day. Guests can reach Saint Francois City Center in a 5-minute drive, while Pointe-a-Pitre International Airport is just 22 mi from Hôtel-résidence Golf Village. Reception opening hours are from 07:30 until 12:30 and from 15:00 until 20:00 until September 2018. If you expect to arrive outside these hours, please contact the property in advance using the contact details found on your booking confirmation. Please note that a tourist tax of 0.80 Euro per person per night will be required. Please inform Hôtel-résidence Golf Village of your expected arrival time in advance. You can use the Special Requests box when booking, or contact the property directly using the contact details in your confirmation.